It’s clear that metabolism is very important when it comes to weight gain or weight loss. Essentially, the higher your metabolism the easier it will be for you to lose weight. There are some effective natural ways to increase metabolism even when on the keto diet. In this article, we will look at ways you can increase metabolism and make your metabolism more efficient in fat burning to help you reach your keto goals. By the end of the article you will have a greater idea of some metabolism boosting tips to surge your progress in losing weight on the keto diet. Does Keto Diet Speed Up Your Metabolism? Firstly, what is metabolism? Metabolism is the rate (definition from Harvard Health) at which your your body uses energy to function properly. Essentially, it can be described as the burning of calories for energy. A common misunderstanding is that the Keto diet helps increase metabolism. However, in the keto diet you are not increasing metabolism. A more accurate explanation is that you are shifting your metabolism. Instead of burning calories for energy your body burns fat. Your metabolism is still the same as if you were eating carbs and not on the Keto diet. However, it is the energy that is being burned (fat) that is the more efficient way for the body to lose weight provided you have kept other variables constant like exercise, diet, etc. Consequently, the keto diet uses your metabolism to burn fat quickly instead of carbs and does not increase metabolism per se. That’s not say that your metabolism cannot be increased while on keto. It most certainly can! Green tea is one of those spiritual teas that has been around for ages. The Japanese have been drinking it since beginning of time. Wonder why they are so old, slim and healthy. Green tea contains catchins which have been linked to raising metabolism levels. 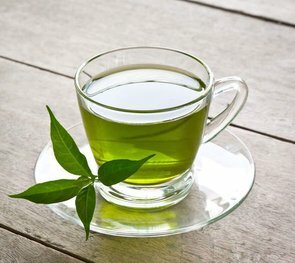 The positive impact of green tea on increasing metabolism is not going to be huge. For example, a few sips of green tea in the morning are not going to suddenly put you metabolic system in overdrive. However, adding it to your arsenal of weight loss weapons will definitely do more help than harm. Drinking 2 to 3 a day should really help your body and keep you alert too. Oolong tea is another tea that has been around for ages. It is a traditional Chinese tea that contains the benefits of green and black teas. It is made from the same plant as green tea which is camellia sinensis. The only difference is the way oolong tea is made. For example, check out these scientists in japan had a weird experiment of testing the effects of oolong on lab rats. Helps improve digestion by increasing the ph level in digestive system.quick over view , water lies at 7 on the ph scale. the higher your ph the more basic you level is and the lower your ph the more acidic. It is common that a healthier and more better functioning digestive system aids weight loss. 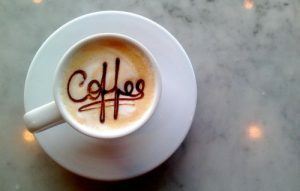 Talking about hot drinks, coffee also increases your metabolism because it contains the ingredient caffeine. For example, research revealed that the resting metabolic rate was increased by 3-11% when caffeine was consumed. The larger dosages having a greater effect. If you want a particular type of coffee that is perfect for keto diet I recommend fat fuel coffee. However, regular coffee will also be fine. Believe it or not having something as simple as berries is also very helpful for weight loss. 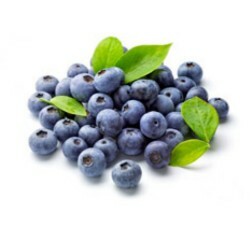 Berries contain fiber which increases the process of digestion. So berry me up baby. Blackberries, blueberries, strawberries and raspberries are all great metabolism boosters. Almonds are a staple of a keto diet but they are also great for increasing metabolism and helping you lose weight. They are high in protein, fiver, omega 3 fatty acids and monounsaturated fats (healthy fats). Their nutritional makeup is perfect for keeping you full, fuelling your muscles with protein and providing slow releasing energy. Have a stache of almonds in a jar or box to snack on throughout the day. They also will help prevent you from getting hungry. Exercise, specifically high intensity workouts using weights and cardio combined are a great way to increase metabolism. HIT involves drop down weight training until you physically can’t lift anymore. Dropdown sets is where you work your muscles to failure doing as many reps as you can. Every time you hit failure you drop down to a lower weight and continue until you hit failure again. There is no rest or very minimal rest in between sets. This is perfect for boosting your metabolism as you are not only raising your heart levels and using energy to workout but also are strengthening your core muscles. Muscle requires energy to stay functional, so the more muscle you have the higher your metabolic rate will be. Consequently, with high intensity workouts involving weight you will inevitably gain some muscle mass which will help raise your metabolic rate. However, there is some important things to be aware of before you start incorporating high intensity workouts into your routine. This is not a bad thing but just something to be aware of when trying to increase metabolic rate in the gym. You can still gain muscle and strength, you just won’t feel as strong in the gym. Depending on how intense your workout is, I would increase carbs and protein accordingly to cope with demands of you HIT (high intensity) workout. 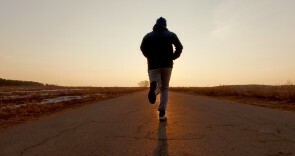 Combine aerobic into your workout routine when on the days your not doing HIT and you will see some great results. It does not have to be exact but try to increase your heart rate to around 120 to 140 beats per minute for a minimum of 20 minutes. This should work your body at optimum level and create a sweat. If you crave sugar to such an extent that it becomes unbearable then have some dark chocolate. Dark chocolate is a great sugar source that actually has some benefits provided you have dark chocolate in moderation. Along with reducing stress, dark chocolate contains mono-saturated fats which can help increase your metabolism. On a cellular level it also helps with inflammation. Inflammation causes diseases like diabetes, and other chronic diseases. Consequently, having a small amount of dark chocolate will do no harm but actually can help your body. 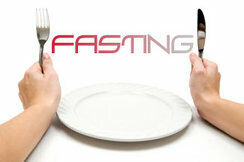 Fasting can be a great way of improving your metabolism. Fasting forces your body to look into fat stores for energy when it is hungry making your metabolism more efficient for losing weight. Some people combine intermittent fasting with the keto diet in order to speed up their results. So what is intermittent fasting and how do you fast on Keto? Intermittent fasting is basically eating at a certain time period during the day and fasting during the rest. There are different ways to fast, however, I recommend the best way is the 16 hour fast (16:8). This is where you only eat between noon and 8pm. Essentially, your having no breakfast, and no food up until around mid-day and then eating all your food you need up till 8 pm. You have no snacks after dinner. Fasting is also very simple. Fit all your meals in between noon and 8pm. The rest you don’t have to worry about. However, fasting does come with some drawbacks. You may feel sluggish and get headaches at first which is normal since your body is adapting to the change. You should also be wary of developing obsessive eating habits. This can be bad for ones mental health. For example, if your counting every second down to when you need your next meal or worrying if you miss one or two days in a week. Thats no way to live life. Fasting can also make you hungry in the beginning. If you are going for long periods without food it’s only normal to start craving more food if your body is not used to it. This can lead to feasting and binging which may not be healthy for the body and weight loss. For how to add intermittent fasting into the keto diet I recommend this article over at bulletproof.com. Intermittent fasting is not for everyone though. Just an idea to play around with. Metabolic meals are meals that contain ingredients known for their metabolic properties. For example, meals that contain protein, thermogenic spices and delicious vegetables. However, there are millions of combinations you can try. For example, take this chicken and vegetable wok recipe below. All you need to do is throw all the ingredients into a wok or large frying pan and your good to go. There are other great metabolic recipes that are simple and easy to make which can be found in a book called metabolic cooking. I have drastically saved time and effort using their meal prep advice and still use some of the recipes today. Just to quickly recap there is a ton of great way to raise metabolism on keto diet. The best ways are intermittent fasting and high intensity workouts. However, they do require the most work. Keep things simple and pick one or two ideas from the list below to add into your daily routine. If you would also like to know some amazing cooking recipes to increase metabolism, I highly suggest metabolic cooking by Karine Losier. This book has changed the way I view foods and given me some great ideas for metabolic boosting recipes to include in my diet. Check out my opinion on metabolic factor, if you curious of learning the “secret tips” no one else is implementing to increase metabolism.